How Supplementing With Creatine Can Boost Your Bench! Why aren't you piling on the plates when you max out on the bench press? It's time to take a closer look at what creatine can do for you. Find out more. You train according to a strategic plan crafted by a professional strength & conditioning coach and eat a clean diet with plenty of protein. So why aren't you piling on the plates when you max out on the bench press? It's time to take a closer look at what the bodybuilding supplement creatine can do for you. Creatine is a nitrogen-containing compound naturally found in fish and meat. Our bodies also contain creatine with the majority stored as phosphocreatine in muscle tissue and the rest as free creatine. Every day the body breaks down about 1-2% of the creatine pool, approximately 2 grams, into creatinine, which is excreted in urine. How Does The Body Get Creatine? We eat it in fish and meat. 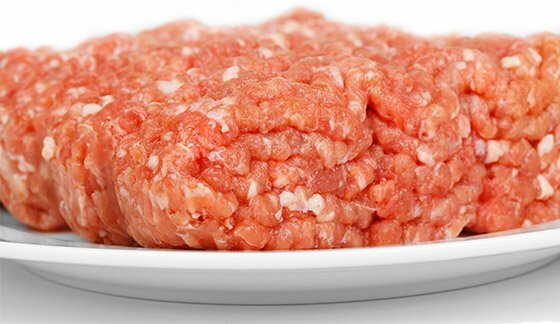 A pound of uncooked beef contains approximately 1-2 grams of creatine. And we can also make it from the amino acids glycine, arginine and methionine. Because dietary sources of creatine are found in animal flesh, some reports indicate that vegetarians have lower creatine stores in their muscle tissue than non-vegetarians. "A pound of uncooked beef contains approximately 1-2 grams of creatine." If you want to supplement with creatine, take 0.3 grams creatine per kilogram bodyweight for 5-7 days (5 grams four times per day for instance) to saturate creatine stores. After this period, take 3-5 grams per day to maintain stores. Your body uses ATP (adenosine triphosphate) to fuel activity. It does this by breaking down a chemical bond between phosphate groups turning ATP to ADP (adenosine diphosphate). The phosphate in ADP must be replenished to form ATP to continue fueling muscular contraction. And the body has different systems in place to add that phosphate back. To replenish ATP quickly, muscle cells rely on creatine phosphate. This system rapidly replenishes ATP to fuel working muscle but only lasts about 10 seconds. And, it is dependent on the amount of phosphocreatine stored in muscle. As phosphocreatine stores are used, ATP cannot be resynthesized at the rate required and maximum physical effort declines. Creatine works by increasing phosphocreatine stores thereby accelerating the rate of ATP resynthesis during short duration, intense exercise (sprinting, explosive moves, bench press etc.). Training studies show that creatine supplementation can improve maximum power and strength, work load performed during sets of maximal effort, sprint performance. The only true side effect of creatine supplementation is weight gain. During the loading phase, study subjects have typically gained 1 to 2 kilograms. Over 4 to 12 weeks of training, study participants have gained an average of 2 - 4 lbs of fat free mass in comparison to subjects taking a placebo. There are now over 1,000 published studies on creatine with creatine monohydrate the most studied form. Anecdotal reports in the literature indicating that creatine causes cramps and dehydration did not control for other supplements used or training conditions (heat, humidity). A review article examining the safety of creatine found that it may actually decrease risk of dehydration by increasing total body water and intracellular water while having no effect on extracellular water. In addition, creatine has no untoward effects on kidney functioning in healthy males. However, it is not completely clear if supplementation is safe for every individual who is at risk of or has kidney disease. However, in one study, scientists in Brazil supplemented a young man with a single kidney and a mildly decreased glomerular filtration rate with 20 grams of creatine per day for 5 days followed by 5 grams per day for 30 days while the young man was consuming a diet containing 2.8 grams of protein per kg bodyweight per day. No negative effects were noted on kidney functioning. Though creatine has a good safety record, there are few studies in kids under the age of 18. Therefore, it makes prudent sense to ensure all other dietary factors are executed (high calorie diet, quality and quantity of protein intake, nutrient timing) and the child/teen is training properly prior to recommending creatine for kids. In addition, discuss this with your physician first prior to giving a child under the age 18 creatine. The efficacy and safety of creatine supplementation is being used in a number of clinical trials to examine how it may help people with Huntington's Disease, Parkinson's Disease, statin related myopathy, Amyotrophic Lateral Sclerosis and more. See www.clinicaltrials.gov for more information on populations supplemented with creatine. Eat more. You need food to fuel your activity, specifically carbohydrate. Take BCAAs or whey protein prior to your training session. Sip on a sports drink while training (carbohydrate is your energy macronutrient; without it you'll feel lethargic). Rest—get enough sleep to help repair your body every night. Recover—take sufficient time off between training sessions to help your body rebuild and repair. Creatine monohydrate is safe and it's effective. 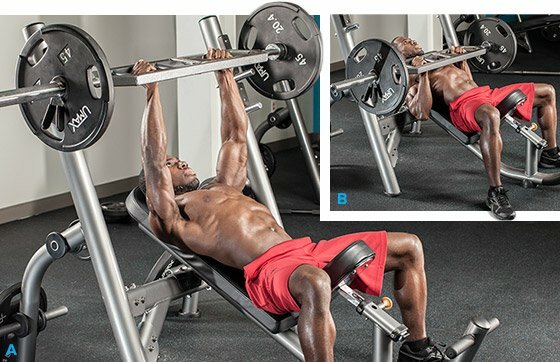 If you've done everything else to maximize your performance on the bench press, what are you waiting for? Creatine can help you take your 1 RM bench press to a whole new level. Always tell your physician about any supplements, medicines and over the counter drugs you are taking (doses, frequency, brand name). Br J Sports Med 2008;42(7):567-73. Sports Applications of Creatine. In: Essentials of Sports Nutrition and Supplements. Humana Press 2008.